Muscular-Skeletal Percutaneous Electrolysis (MPE), is an innovative rehabilitation technique in the field of Physiotherapy, its origin is Spanish and it is making its way in the rest of the world (Europe, USA, etc.) due to the amazing and revolutionary results that are obtained, since it shortens recovery times of pathologies that were not completely resolved: tendinopathy, tendonitis, etc., it solves recurrent pathologies: back pain, sprains, epicondylitis, etc. and improves the quality of the recovered tissue, avoiding that both the discomfort and the pathology are repeated. Muscular-skeletal percutaneous electrolysis (MPE) or intratisular percutaneous electrolysis (EPI®) is a technique of Invasive Physiotherapy that consists on the application of a continuous current (galvanic current) through a specific needle. 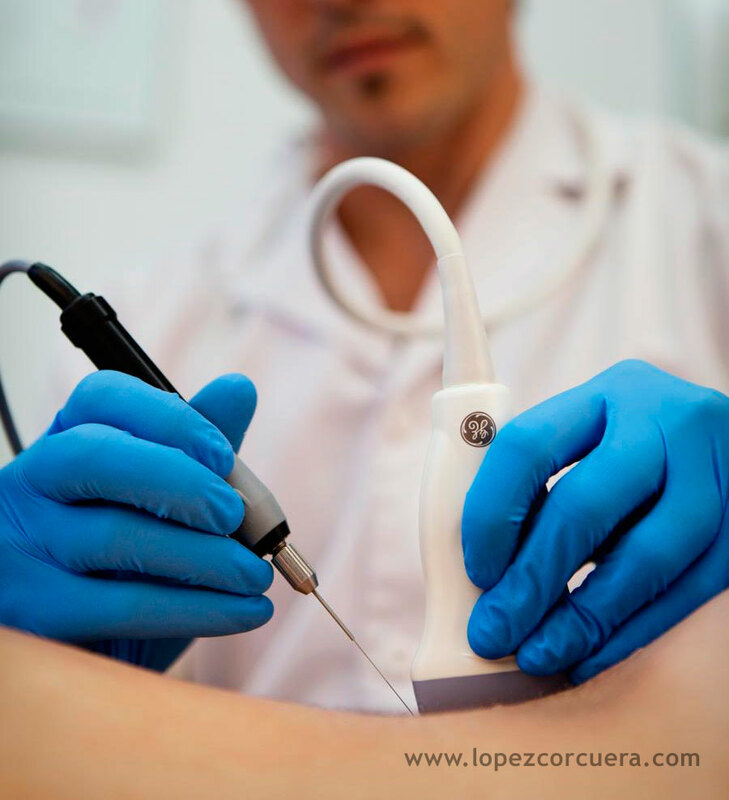 It is a safe and efficient technique that must always be performed under ultrasound control (ecoguided) with the objective of locating the area to be treated in a concrete and specific way and assess its evolution. The MPE causes an electrochemical reaction that induces cellular necrosis in the degenerated region. This reaction produces a local inflammatory process, allowing phagocytosis and consequently repairing the injured tissue. PATHOLOGY OF THE ROTATING SLEEVE: TENDONOSIS OF SUPRASPINAL, INFRASPINATOUS, SUBESCAPULAR AND BRACIUM BICEPS TENDON. INJURY OF FASCIAS: PLANTAR FASCIITIS. INJURY OF THE BURSA: BURSITIS.